Who Makes The Best Beer In CVille? Don’t forget to vote in our Ohio Beer Brawl, Louisiana Cajun Cage Fight, our Boston Food Truck Fight, our Illinois Hot Dog Wars, our Illinois Pizza Wars, our Louisiana BBQ Brawl, our Chicago Food Truck Fight, our Illinois Beer Brawl, our Richmond Food Truck Fight, our The New York Distillery Battle, our Louisiana Food Truck Fight, our Maryland BBQ Brawl, our South Florida Food Truck Fight, our Indiana BBQ Brawl, our West Virginia BBQ Brawl, our Central Florida Food Truck Fight, our NYC Food Truck Fight, our Alabama Food Truck Fight, our North Florida Food Truck Fight, our Indiana Food Truck Fight, our Indiana Beer Brawl, our Philadelphia Food Trucks Fight, our Atlanta Food Trucks Fight, our New Jersey Food Trucks Fight, our Kentucky Food Trucks Fight, Mississippi BBQ Brawl, our New Jersey Pizza Wars, our South Carolina Food Trucks Fight, our Baltimore Food Truck Fight, our NC Triangle Food Truck Fight, our 757 Burger Brawl, our New Jersey Beer Brawl, our DC Food Truck Fight, our Nashville Burger Brawl, our Kentucky Donut Brawl, our South Carolina Donut Brawl, our Georgia Donut Brawl, our Florida Donut Brawl, our Tennessee Donut Brawl, our North Carolina Donut Brawl, our Alabama BBQ Brawl, our NoVA BBQ Brawl, our RVA BBQ Brawl, our Columbia, SC Bar Brawl, our Charlotte, NC Bar Brawl, our NC Triangle Bar Brawl, our Western North Carolina Bar Brawl, our FL Oyster Bar Brawl, our NC Triangle BBQ Brawl, our Memphis BBQ Brawl, our Kentucky BBQ Brawl, our Maryland Burger War! 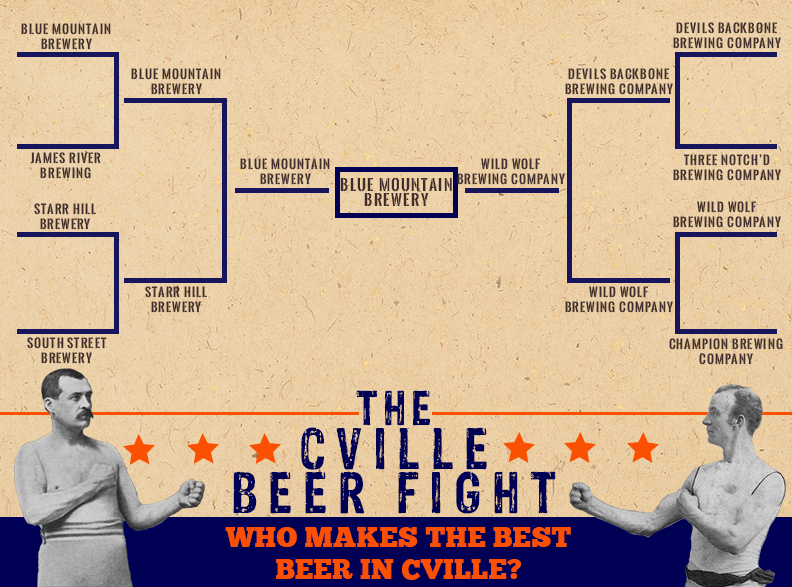 Congratulations To Blue Mountain Brewery, Grand Champion Of The CVille Beer Fight! 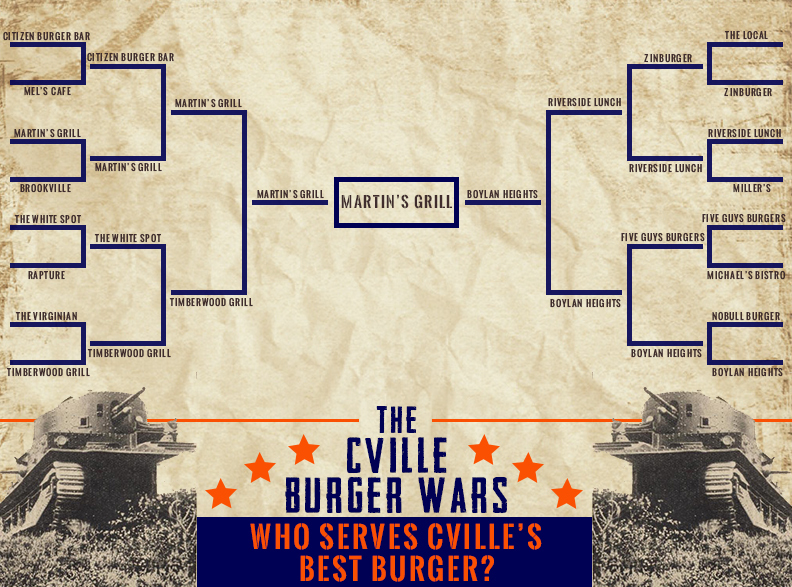 Congratulations To Martin’s Grill, Grand Champion Of The CVille Burger Wars! 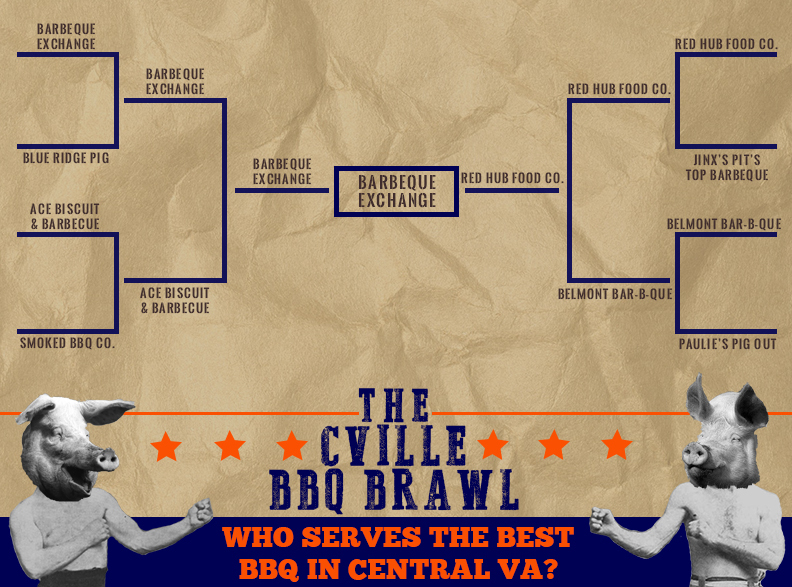 Congratulations To BBQ Exchange, Grand Champion Of The CVille BBQ Brawl! 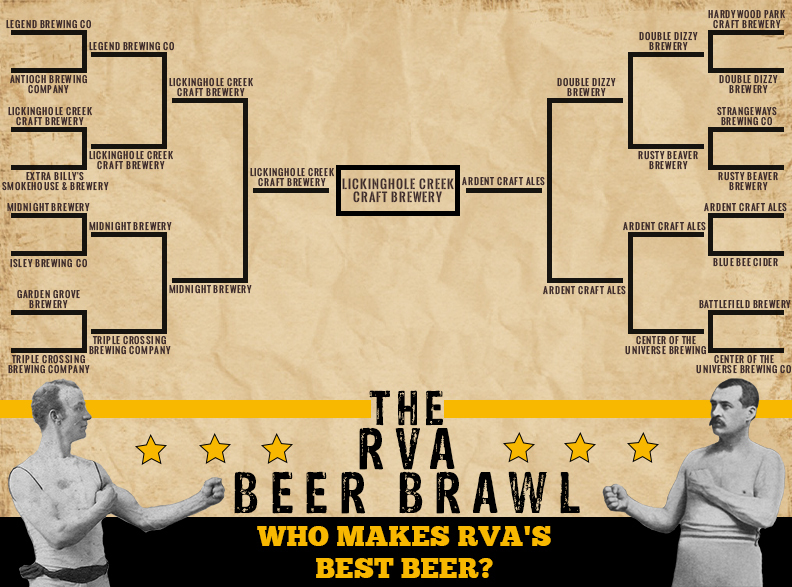 Congratulations To Lickinghole Creek Craft Brewery, Grand Champion Of The RVA Beer Brawl!